One of the main arguments used by big-government advocates is that the government is vital to helping those who cannot help themselves. To that end, the government spends millions of dollars each year funding Animal Control, which enforces animal protection laws and runs pounds in every county in America. The role of government in animal protection has gone largely unquestioned until recently, but now activists are filing lawsuits against California Animal Control organizations for abuse of both animals and power. Two sets of lawsuits are being prepared. The first will be filed on the local level against San Bernadino County – with more Southern California counties to follow – and addresses the issue of animal treatment in government-run shelters. These shelters fail to obey the very state laws they use in their justification for seizing animals in the first place. Animal Control is equivalent to the police force of the animal world, not intended to protect individual animals but rather to maintain order among pets, strays and animal owners. The second lawsuit, however, would address a much more important issue of civil rights and liberties at the federal level. The government isn’t the only organization claiming to protect animals, and in fact it is less successful than private shelters, with higher kill rates, lower adoption rates and less successful animal placement. Government shelters, therefore, find themselves in a losing competition with private rescues for volunteers, donations and adoption fees. To counter this, it has become all-but-standard practice for government organizations to violate the Fourth Amendment rights of private shelters, their owners and their supporters. Violating Fourth Amendment protection against unreasonable search and seizures, government agencies enter private shelters and seize their animals on dubious legal grounds and with no probable cause. Regardless of whether or not they’re found to be in violation of any laws, though, they must pay hundreds of dollars per animal to retrieve them. It doesn’t matter if they’re guilty or if they’re being victimized; they have to pay the fines. Most shelters are completely unable to pay the tens or hundreds of thousands of dollars required, and are forced to relinquish their animals to the shelter – which makes money adopting some out, and euthanizes those which aren’t profitable, even if they weren’t at risk or being abused in the original shelter – and in some cases to close down. Shelters across the country live in fear of these actions, while Animal Control profits. Though this is a crucial issue in animal welfare, it far surpasses animals in importance. 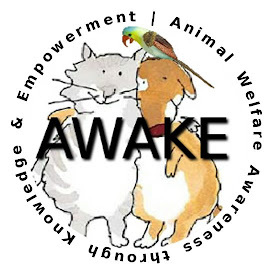 With the majority of animal conversation focused on issues like hunting and horse slaughter, many believe that the government controlled animal organizations have engaged in nothing less than tyrannical actions against private charities. The simple truth is that not only are there people out there eager to help animals – meaning that government involvement is unnecessary – the government has taken steps to intimidate and even eliminate these private charities. In doing so, it routinely violates citizens’ constitutional rights. This isn’t the only example of government being the most significant threat faced by animals and people who care for them, and it’s not the only example of government corruption involving animals. Animal Control in Tennessee recently killed a young deer for being too friendly with people. Animal control sent a SWAT team into a no-kill shelter and killed a baby deer named “Bambi” before the shelter could transport it to a wildlife rehabilitation center. “Anti-hoarding” legislation forces everyone who wants to help give animals homes to be registered with the government, and subject to government controls which force them to adhere to higher standards of animal care than most individuals – or government shelters – do, with the accompanying threats of random inspections and Animal Control “raids.” In so doing, it keeps a thousands of pets homeless by stifling individual charity, a move very reminiscent of Michael Bloomberg’s preventing individuals from giving food donations to homeless people. With animals, as with people, the government attempts to stifle individual attempts to help those it deems “needy.” Not only do the actions of Animal Control show what happens when there is a lack of government accountability, they also illustrate perfectly that the government does far more damage than it does good. Note from Joshua Cook: Special thanks to Sarah Tanksalvala who contributed the majority of work and research for this article. This is an issue the media is not covering and we plan to continue to write on this important topic.